Three years ago, the mayor of San Francisco pledged to achieve zero waste by 2020. Racing to Zero tracks San Francisco’s waste stream diversion tactics and presents innovative new solutions to waste. This film documents a surprising, engaging, and inspiring race to zero. Matter of Trust is a proud Presenting Partner and is producing a special edition of this DVD for the Paris COP21 Climate Conference. Executive Producers of Racing to Zero credits Patrice and Lisa Gautier, co-founders of Matter of Trust. 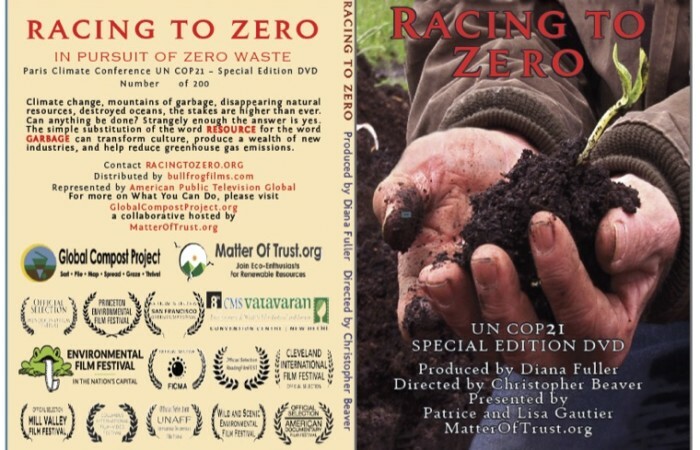 Christopher Beaver creator of Racing to Zero was interviewed by San Francisco Green Festival. The article can be found here. APT Worldwide – international nonfiction video distributor. Check the site for locations and times. Pledge to compost your organic waste! Connect with those in need of your unwanted belongings. Remember, one man’s trash is another man’s treasure.